Love BOB Strollers? Then You’ll Love the Travel System! I am the proud new owner of a 2012 BOB Revolution SE. You could say I’m a stroller fanatic. Over my three and a half years of parenthood and two babies, I’ve owned six strollers… and this is my favorite so far! This is my first BOB, and I can now understand why people who own BOBs typically don’t go through six strollers in three years! VERSATILITY: The best thing about this stroller, in my opinion, is how versatile it is. 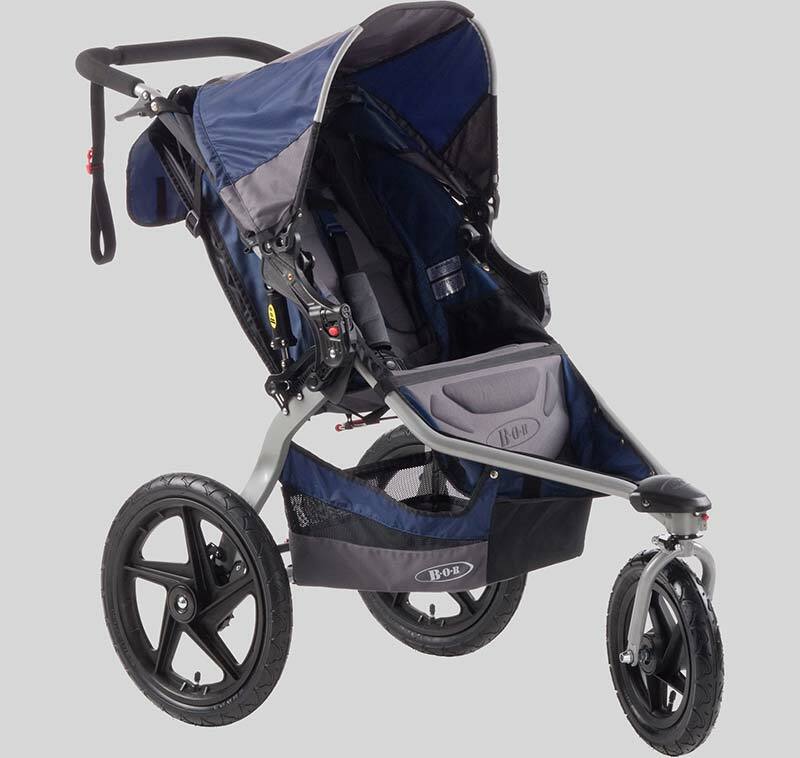 Rather than switching back between a “regular” stroller, jogging stroller and lightweight stroller as I have in the past, this stroller is agile enough to take shopping, sturdy enough to take off-roading, and obviously, is made for jogging. The front wheel has two positions, the walking (shopping!) “swivel wheel”, and the jogging “fixed wheel.” All you have to do to switch between the two is click the front red knob– it takes no time at all. 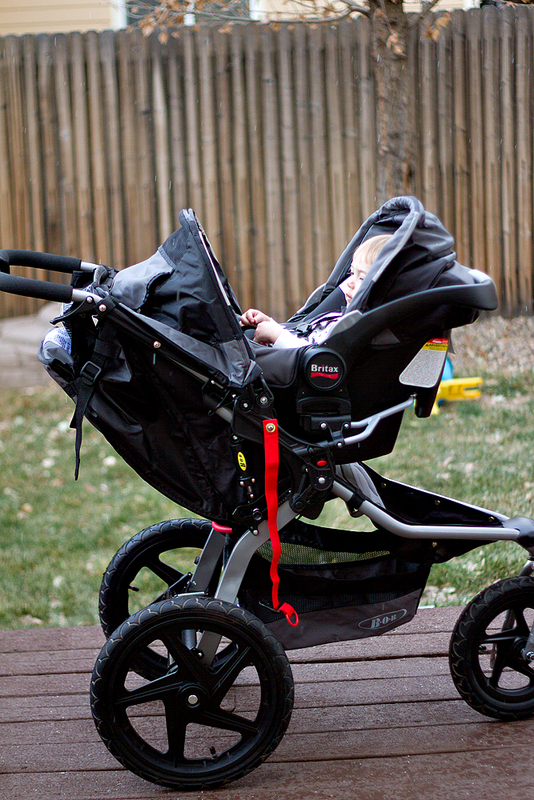 I put this stroller to the test while Black Friday shopping and found that it turns on a dime. And then I took it off-roading in Garden of the Gods in Colorado Springs and found that the shocks really are all they’re cracked-up to be, as are the sturdy wheels. Now, I’m itching to take it on its first 5K. COMFORT: This stroller is super-comfy. It has great padding and my 16-month-old can sleep comfortably in it while in the reclined position, which is easily achieved by simply pulling two straps. To add to the comfort level, you can purchase the “Warm Fuzzy” separately (tempting!). STORAGE: I would say this stroller has “ample” storage space. Certainly not an over-abundance of it, but you can fit a diaper bag in the underneath storage. It also has small side pockets inside the seat for extra toys/snacks and a large mesh pocket on the back of the seat. FEATURES: One of my absolute favorite features is the canopy. It has five positions! 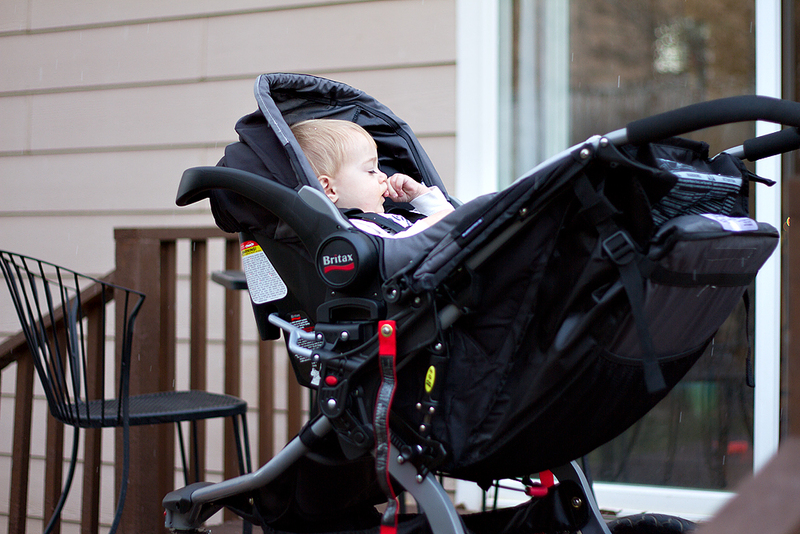 This stroller can keep a LOT of sunshine out! There’s also a large window in the canopy so you can peek in on baby. Another favorite feature is the super-easy “2-step easy-fold frame.” Despite the large frame, I can easily manage to fold this stroller up and lift it into the back of my car by myself. I drive a mini-van and have no problem fitting it into the back. However, if you have smaller trunk space, it is equipped with quick-release wheels, so you can still fit the stroller in the back by removing the wheels. BOB is famous for its shock system. I’ve always heard that, but until you test it out for yourself, I don’t think it’s easily explained! Suffice it to say, this stroller has a SMOOTH ride. On top of its famous shocks, it is also equipped with a wheel tracking adjustment knob, which allows you to fine tune the alignment simply by twisting the knob. CONS: Unless you purchase them separately, there are no water bottle or snack compartments. This is not a huge deal, as you can purchase them separately for under $30 (which we will be doing soon!). BUT WAIT! There’s more. If you’re like me and a little obsessed with matchy-matchy travel systems, you will be happy to know that BOB has now teamed up with Britax to provide you with a matching infant car seat! Finally, a complete travel system! (BOB strollers are also compatible with Graco, Peg Perego and Chicco car seats… adapters sold separately) The BOB B-SAFE Infant Car Seat by Britax is fantastic. Pairing the safety & reliability of Britax car seats with the “look” of BOB was a pure stroke of genius. 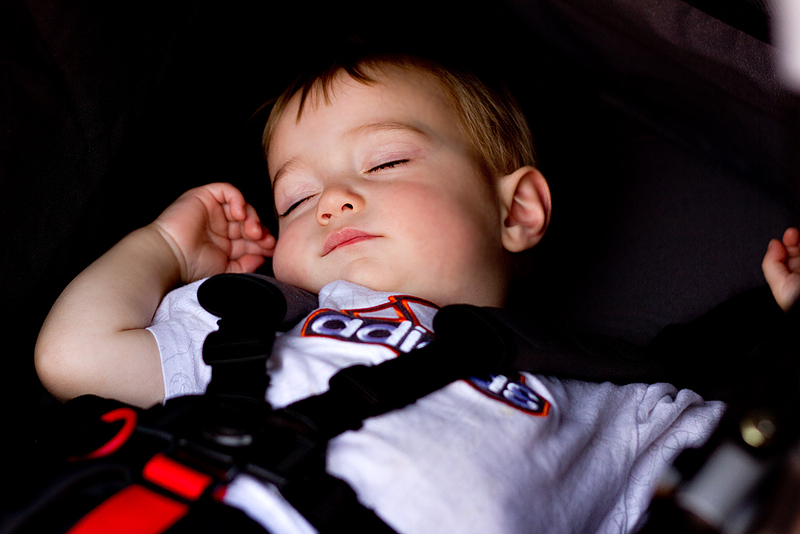 SAFETY: In my opinion, the most important thing to consider when looking at car seats is their safety ratings. The Britax B-SAFE Infant Car Seat is among the top-rated of all infant car seats! It features side-impact protection, which distributes the crash forces across the strongest parts of the body. The energy-absorbing foam liner is not only comfy, but plays a key role in the impact protection in the case of an accident. FIT: The five-point-harness has four heights and two buckle positions to help accommodate babies from 4-30 lbs and up to 30 inches tall. COMFORT: This car seat is ultra-plush! Very comfy, at least compared to my last infant car seat, and includes a removable comfort pillow, a belly pad underneath the crotch strap, and shoulder pads. FEATURES: The canopy is very large, and also has multiple positions. Word to the wise: You have to pull up on it as you pull it… I wasn’t ready for this and thought it was stuck, but I now realize that’s what allows it to stay open in multiple positions. The Lower LATCH connectors on the base are very easy to install, as they feature a red push-button for easy release. The base is also adjustable, which is fantastic, because the seats in my minivan require a little more of a recline than the “standard” recline position. This base has five positions & an easy-to-read level gauge to help you correctly position the seat in your vehicle. I would strongly recommend this entire system. 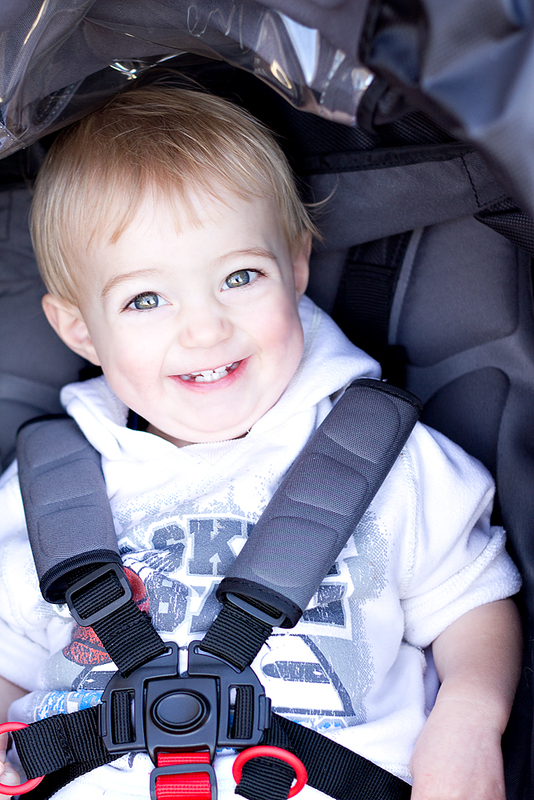 Rather than go through multiple strollers and car seats, do it right the first time! It’ll be well-worth the up-front money! 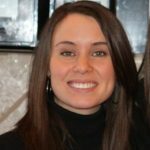 Keleigh is a wife to a wonderful husband and mother to two precious sons, one of which was born at home. A talented design artist and photographer, she is incredibly blessed to work alongside her sisters in their “family business” and have countless opportunities to grow closer to her Lord & Savior! When she has the time, she also writes on her own blog, Blessed beyond Measure. That sounds like an amazing travel system. My sister in law is very active, so I know something like this would be perfect for her. This sounds like the ultimate stroller! I love that it has a window in the canopy in order to check on a sleeping baby. I also love that it’s a jogging stroller plus it can be used for shopping. My daughter-in-law is expecting her first child soon and this would be an awesome gift! Sounds like you purchased the perfect stroller for you and your family. I remember when we bought our stroller, it was a big deal and very important purchase. 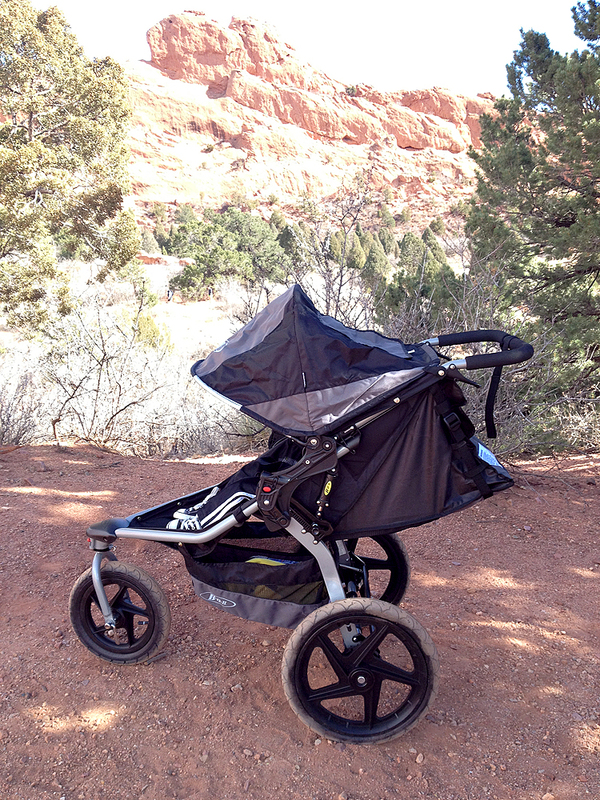 The BOB Strollers have some awesome safety and comfort features and are definitely worth the investment. The 5-point harness is a must and the height adjustment is a great feature. Wow, you have quite the stroller collection! That is so neat they have come out with a matching car seat too! My friend bought one of these and she loved it. She said it was the most convenient stroller she ever had. The safety features on that stroller are outstanding. Strollers are getting cooler and cooler. This one looks like such a luxury! I can only imagine the comfort babies experience in these strollers lol I love it! We are past the baby stage but this looks like a great stroller. It is amazing how much cooler they get.. I am a HUGE fan of Bob strollers. Our single stroller definitely took a beating since we live such an active lifestyle and I was so sad when it finally broke. If my boys were still young, we would have gotten another Bob. I have always loved the look of BOB strollers. They are very sleek and chic! Love that they’ve teamed up with Britax. This will be a great gift for my friends baby shower. We have been looking for a good stroller to give her. This sounds like a great travel system for baby and mom!! I love all of the storage it has plus it has many uses!! What a greta system!! What an impressive stroller with so many features like the window to check on your baby and I am sure for those new moms who want to jog with their baby will love it. I have to say that I don’t miss strollers, but t5his dopes look like a great one. My cousin is expecting a little one in next month and I ‘m going to recommend this. The BOB Stroller sounds like the Cadillac of strollers. My stroller years are behind me but finding the perfect one was s big deal. A great stroller is a must-have when traveling with young kids. My friend had this stroller and really loved her experience. I wish we had this when my kids were babies! It would have been really convenient to have to take them out for walks. I love all the safety and convenience features of Bob Strollers. Well worth the price. I’ve heard BOB strollers are the best! They seem like they’re really good quality and that you definitely get what you pay for!